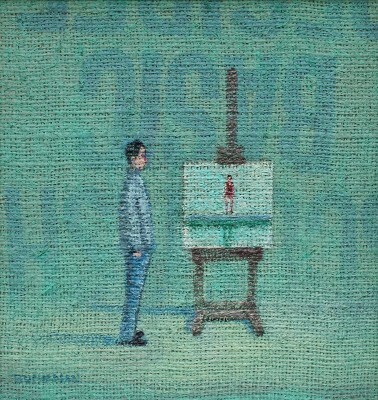 Latest Modern art pieces at Red Rag Art Gallery from British, Scottish and Irish Artists. Red Rag Gallery is one of the UK's leading art galleries for present day modern art, paintings , and limited edition prints. The gallery exhibits the latest modern art from both established and young artists including original paintings, sculptures and Limited Edition Art Prints. Red Rag Gallery represents and promotes contemporary artists of International standing together with the modern art works from emerging artists. All contemporary paintings and sculptures sold at the Bath Modern Art Gallery come directly from the artist studio guaranteeing authenticity and value for money. The modern art featured below contains newly arrived paintings, sculptures and Limited Edition Prints at the Bath Red Rag Gallery. All modern art works maybe purchased by contacting the gallery. Click on the images below to see more contemporary art from each artist.